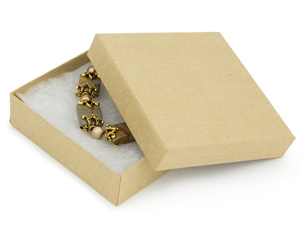 The classic Cotton Filled Gift Boxes are available in this section. 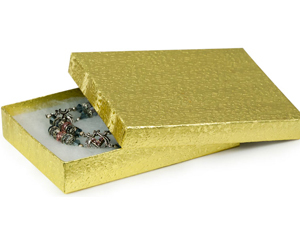 Choose from traditional White, Black, Gold and Silver Cotton Filled Boxes. 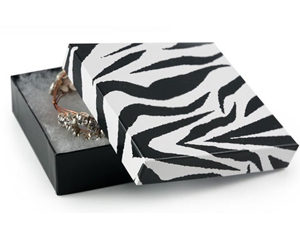 Or, for something a little more wild, try our Zebra or Leopard Print! 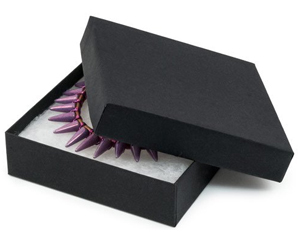 Many other colors and patterns are available here! 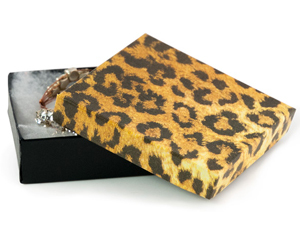 Our Cotton Filled Boxes are great for gift giving, garage sales, trade shows or any other giveaway opportunity. 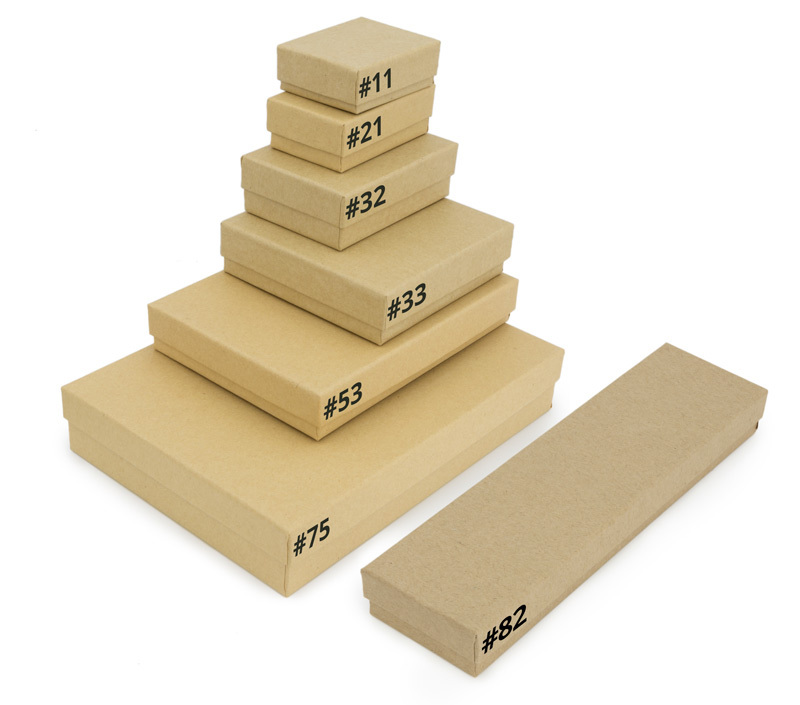 These boxes are made with sturdy outer walls and include a plush layer of cotton fill to keep the contents securely cushioned. 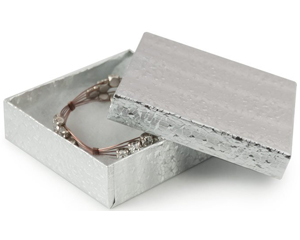 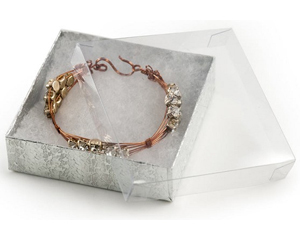 Our sturdy gift boxes are available in a variety of sizes to fit all kinds of jewelry designs, from small pendants and earrings to necklaces, belt buckles, brooches and more. 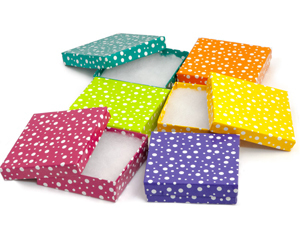 You can buy Cotton Filled Gift Boxes at wholesale pricing at the best price online with no minimum to buy. 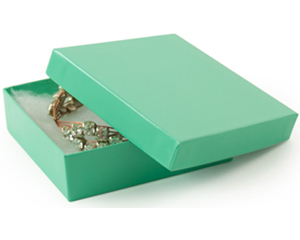 Quantity discounts are available on all gift boxes so you can stock up and save. 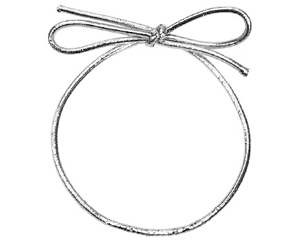 Don't forget to accessorize with our Metallic Stretch Loops! 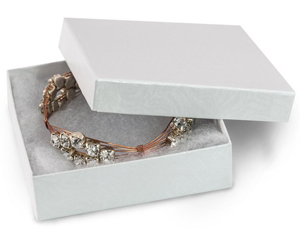 These pre-tied loops easily fit over our gift boxes for an elegant way to securely close your boxes and add a decorative finishing touch.